The Imperial Boat House is a resort in Koh Samui, Thailand. The resort is set in a secluded, unspoilt bay on the spectacular beach of Choeng Mon which is on the north east of Koh Samui island. The resort has 42 superior rooms, 115 premier rooms, 11 poolside terrace rooms and 8 Honeymoon Suites. There are altogether 2 swimming pools, one located around the garden area and the other one which is situated next to the beach. Both the pools are complimented with a jacuzzi. Besides that, the hotel also offers an in house Spa which includes a wide variety of massages available. Location wise, The Imperial Boat House resort is just about 5 km away from Koh Samui airport and a 10 minutes drive away from the shops, bars and nightlife of Chaweng. 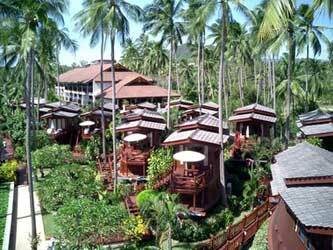 2 nights accommodation at Imperial Boathouse Samui. Free upgrade to Honeymoon suite.